A corporate blog is a blog operated by a company by one or more of its employees. Its basic functionality is not that different from “normal” blogs: The person responsible for blogging creates content and publishes it, and users will usually have the option to rate and comment on posts. However, the purpose of a corporate blog is usually quite different. While privately active bloggers usually choose topics that interest them and with which they are very familiar, at least in most cases, a corporate blog functions as a marketing tool. Although corporate blogs are all similar in this respect, their chosen themes and goals are nevertheless very different. Even so, any content published by a company is usually intended to address a specific target audience and inspire their interest in the company. Corporate blogs were put into practice not long after the first private blogs. Especially in the US, they are a popular tool for online marketing. The great advantage of a corporate blog is the personal contact between the blogger and those who read the blog. On an official company website, the company will usually present itself as serious and earnest – after all, the site is their internet figurehead. In addition to customers, potential business partners or investors may also visit the site, so an informal or overly familiar tone would be rather out of place. However, with a corporate blog the company can show its “human” side, by including contributions from employees who may describe their working roles, for example. Social commitment, sustainable management and in-house training are other popular topics for corporate blogs, which also allow a much more direct link to the target audience. In addition, a corporate blog can be used as a kind of “test bed.” For instance, if there are delicate topics the company has to deal with, which may have a negative PR impact, the company can blog about it in advance. And because only one employee – or just a handful – are responsible for the blog, the content can easily be positioned as the opinion of these employees if the intended effect does not occur. However, if the content can convince the target audience, then the company can easily assume or acknowledge responsibility for the blog content. This method is also often employed when a company wants to use a corporate blog for marketing and communication with its customers for the first time. Since the impact and effectiveness of the content can rarely be anticipated, the employees blog more as private individuals who publish articles on topics related to the company, but not officially on behalf of the company. Thus, the company can safely experiment with this still quite new mode of communication and assess whether there is an appropriate balance between the effort required and the usefulness of the outcomes. This experimental aspect is especially important because it takes time to build an effective blog. While social media sites like Facebook tend to accumulate followers very quickly, a corporate blog must first become established before it can attract larger numbers of people who will read the posts. A corporate blog also offers considerable potential. For instance, it gives the company a dynamic internet presence, and thanks to the personalized communication, it’s easier to convince opinion-makers who will then spread the blog content and increase its impact many times over. With high-quality content, it’s also possible for a company to establish itself as an authority in a certain area and thus become an opinion leader and improve brand awareness. A blog can also be a very helpful tool in the struggle to acquire well-qualified employees. If members of the target audience, mechanical engineering students, for example, are linked to the company at an early stage via the blog, it then becomes easier to find employees later because the company will seem like an attractive employer thanks to the personalized contact already established. Service Blog: With this kind of blog, the company provides customers with additional information about its products. These can be, for example, recipes from a food manufacturer or tips for craftsmen from a building materials specialist. Campaign Blog: This blog usually operates for a fixed period and is intended to support certain advertising campaigns. Among other things, further information on the product, references to social commitment during its production, or the presentation of ultra-modern production methods would be some likely topics. Topic Blog: This variant is very broad and has just one limitation – the blog must be oriented towards a certain topic area. A themed blog is particularly useful to establish the company as an expert in a certain area and thus influence the formation of opinion. Customer Relationship Blog: This blog is designed to build a community that identifies with the company to a certain extent and thus enjoys a special relationship with it. This can, for example, be a very helpful way to conduct online product evaluations. Compared to Facebook and other social media sites, many companies find blogs to be rather cumbersome and costly. However, a company blog does offer some advantages over Facebook and similar platforms. One of the most important factors that works in favor of the blog is the control over its content. As operators of social media channels, outsiders such as Facebook cannot influence the design, range of topics or the visibility of the contributions in a corporate blog. Here, the company alone decides which topics are presented, how customers are addressed and how contributions are published. Furthermore, blog contributions have a very different kind of credibility and relevance than articles on social media sites. What is on Facebook today, many users will have forgotten tomorrow. With a blog, the intimate atmosphere and a reputation carefully built up over years ensures that many readers automatically regard the content as more reliable and meaningful. This, of course, makes blogs both attractive and effective for marketing and PR purposes. A corporate blog can be a very effective online marketing tool. However, it does require more effort than creating an appearance on a social media site, and it will also take longer to achieve results. 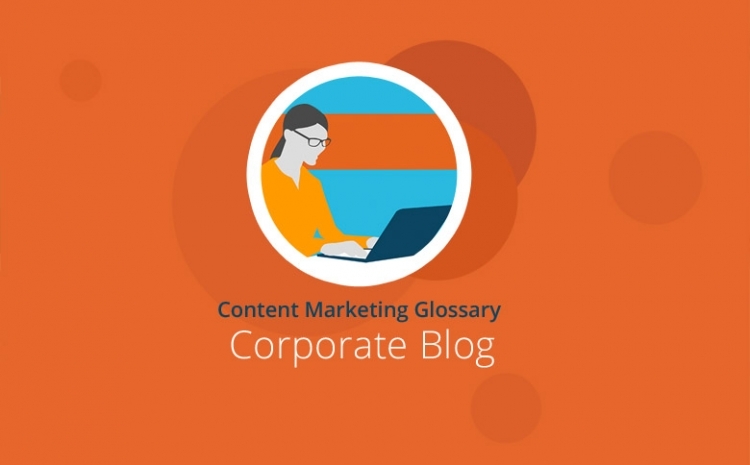 If operated properly, a corporate blogging has the potential to connect customers very closely to the company over a long period of time. In addition, through high-quality contributions, a corporate blog can help to establish a company’s role as an authoritative expert and influencer of opinion within its sector. Therefore, corporate blogs are particularly suitable for companies planning a long-term marketing strategy.